Circa 1938-1944: Modeled in the spring of 1937, Fiesta Kitchen Kraft was dipped in four of the Fiesta colors of green, yellow, cobalt and red. 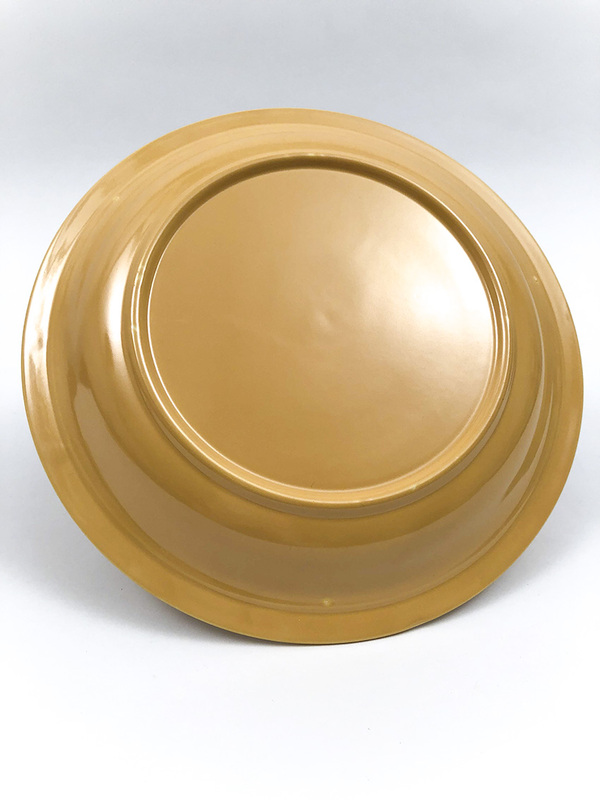 The fully glazed 9 1/2" pie baker shows it's trademark wide-rim and fully glazed bottom. 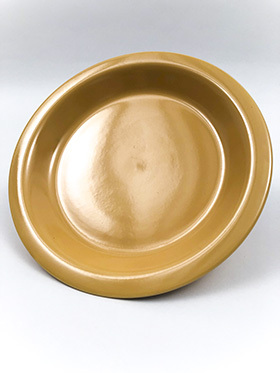 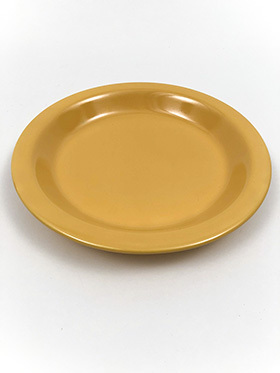 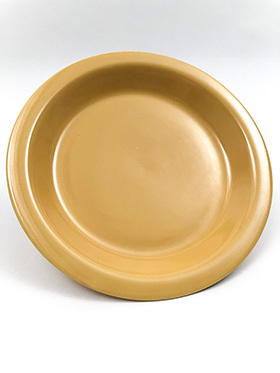 The pie plate supplemented the Fiesta line well and was used in the early 1940s promotional campaign as an underplate to the casserole.